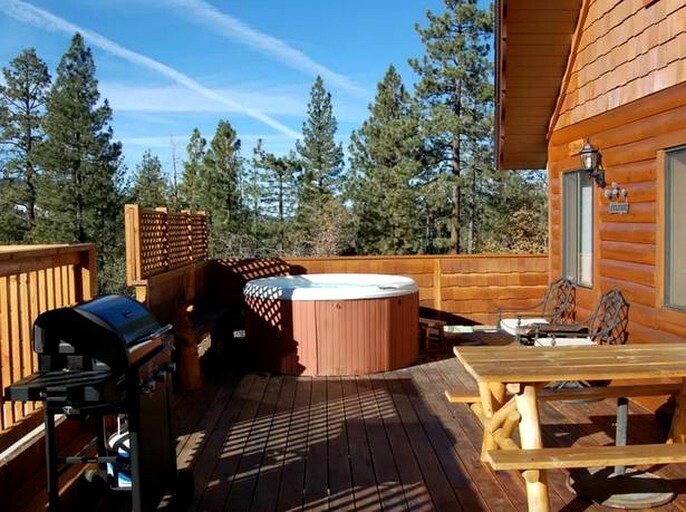 This pet-friendly cabin, located in Big Bear, California, has beautiful views of Bear Mountain and Snow Summit from a private fenced-in Jacuzzi. 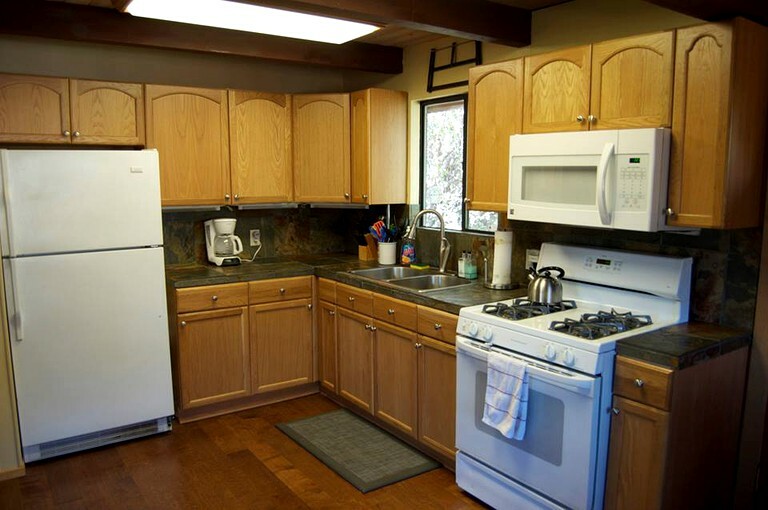 The kitchen has everything that glampers could ever need to prepare delicious meals. There is a large dining room table just off of the kitchen. The living room is home to the LCD flat-screen where the whole family can sit back, relax, and watch Netflix, HBO, the MLB Network, and thousands of other channels all available on Roku. 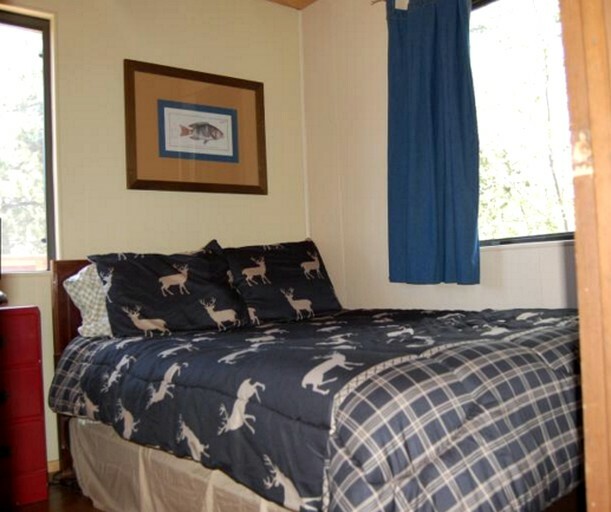 For younger glampers (or glampers who are young at heart), there is a closet filled with games. 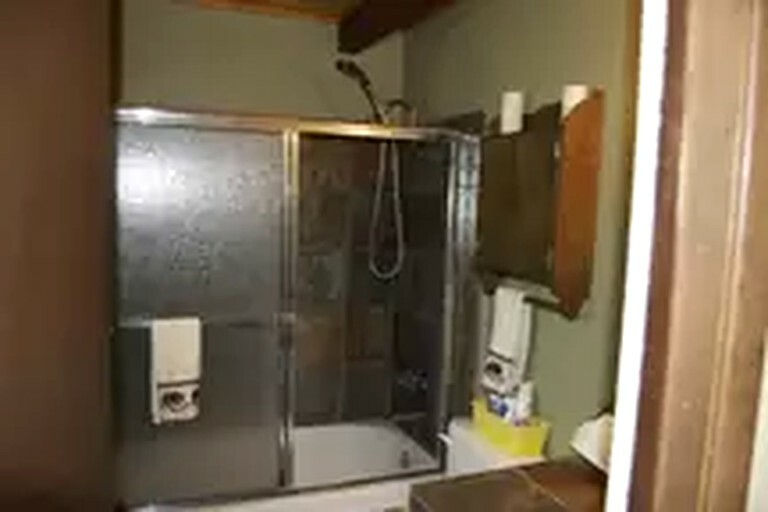 In the cabin, there are three bedrooms and one bathroom. 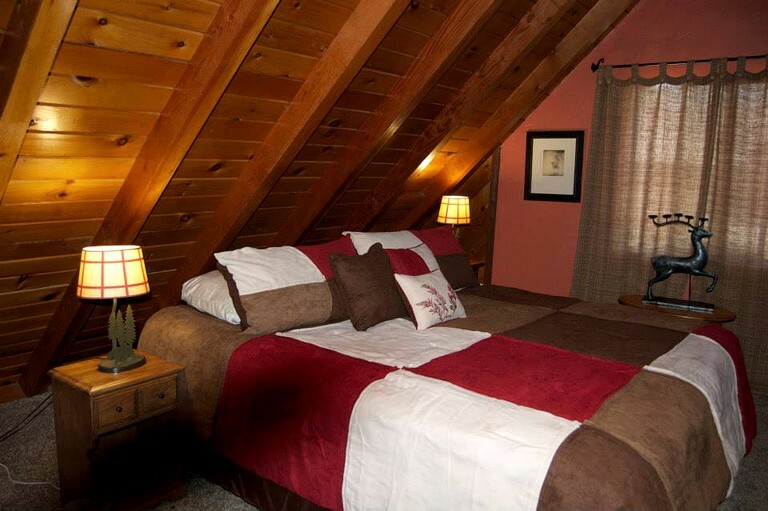 It can comfortably accommodate up to six guests and one furry friend. The master bedroom has one king-sized bed, another bedroom on the first level has one queen-sized bed, and the third room has one bunk bed. 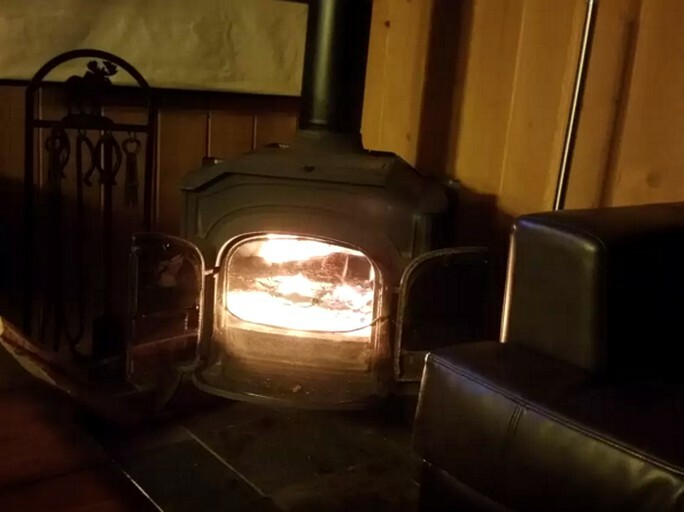 On site is free Wi-Fi for guests to enjoy to sit back and watch some Netflix (free account provided by the site), or glampers can send emails and tell all their loved ones all the great adventures they are having with their favorite four-legged friends! For those glampers who are driving, there is also a flat parking deck that can easily fit four cars. 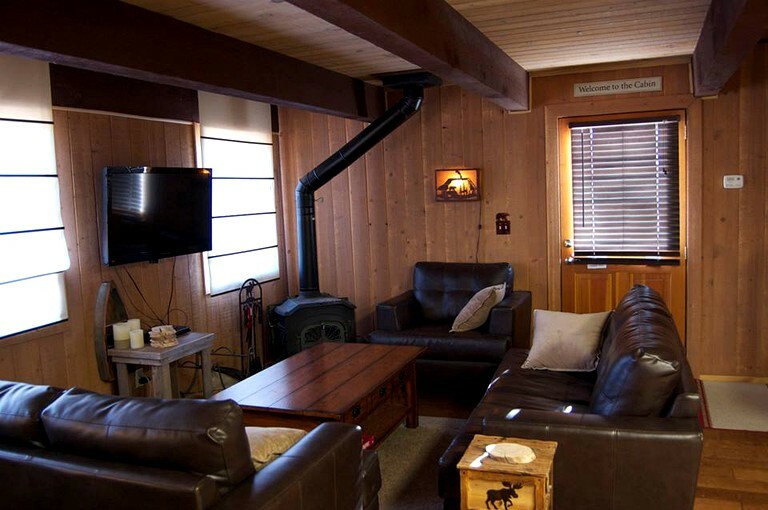 Because of the central location of this site in Big Bear, glampers and their pets have plenty of activities to choose from every day. In the winter, the most popular activities are snowboarding, sledding, and snowmobiling. 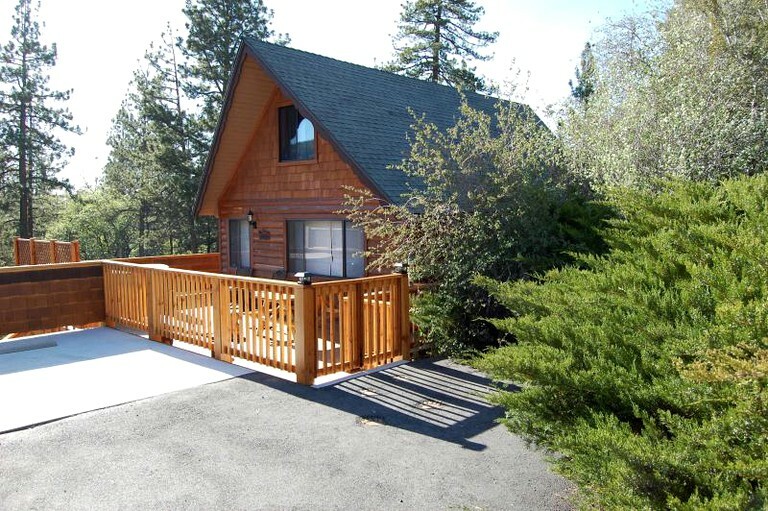 In the summer, Big Bear Lake is the perfect place for glampers and their pets to cool off. 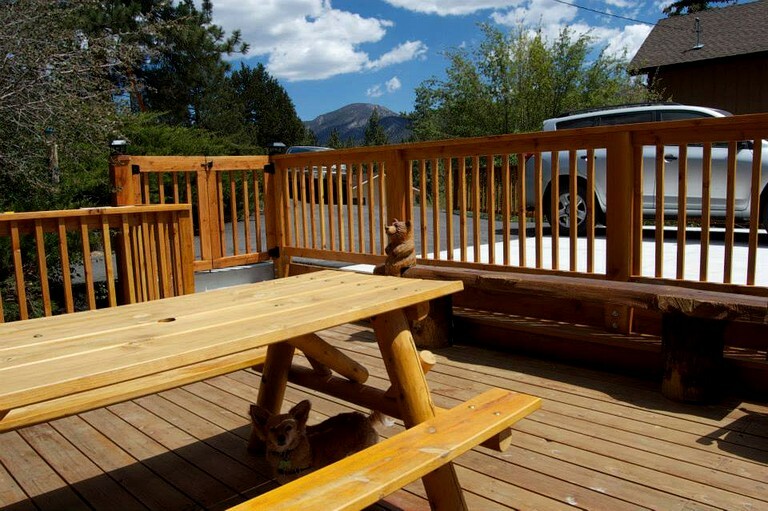 Glampers and their furry friends can also enjoy the hiking trails during the warmer months. In the village of Big Bear, there are many delicious restaurants that welcome pets. Well-behaved dogs are welcome and can stay for free! The site can only be rented to guests who are older than 25.